Students in third, fourth and fifth grade will participate in statewide assessments in May. All testing will take place in the mornings. Please avoid scheduling appointments during testing dates and times. Contact your child's teacher and/or Assistant Principal Ellen Kraska with questions. 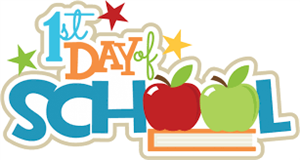 Grades 3, 4 and 5 will be testing the mornings of May 14, 15, 16, 17, 21, 22 and 23. WELCOME PACKET - WELCOME TO LAUREL!